Hurricane Harvey is expected to stall and meander after it hits the coast, dumping up to 3 feet of rain in some parts of Texas. A prayer for those in the path of the hurricane. "Be merciful to me, O God, be merciful to me, for in you my soul takes refuge; in the shadow of your wings I will take refuge, until the destroying storms pass by" ( Psalm 57:1). Hurricane Harvey is on track to become the first major storm to hit the U.S. in a dozen years when it makes landfall, likely north of Corpus Christi, Texas, late Friday or early Saturday. 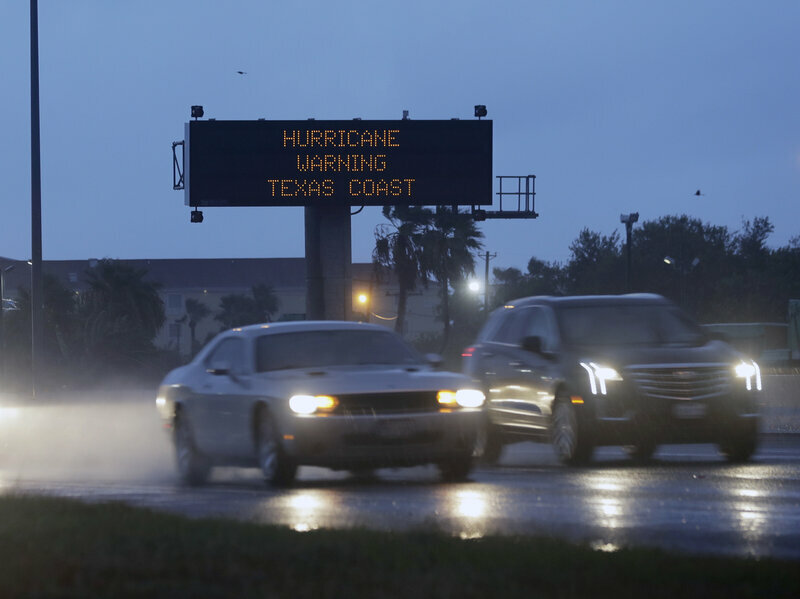 Forecasters say the storm surge, coupled with tremendous rainfall, threatens to cause significant flooding along much of the Texas coast. Harvey has strengthened to a Category 2 storm, with winds of 110 mph, and was on the cusp of Category 3 status, which would make it a major storm, according to the National Hurricane Center.